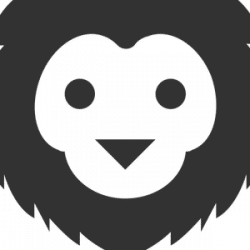 Where to eat in Lyon 7th arrondissement near universities? 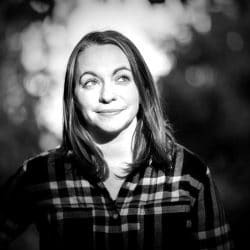 Eat your heart out in the 7th arrondissement with these seven restaurants, cafés, and stores.Our American contributor Jenna reveals her favorite food finds in the 7tharrondissement. Boy, were we wrong about the 7th. 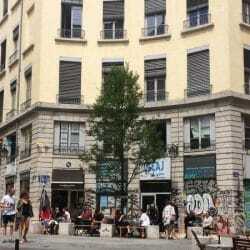 As study abroad students, my friends and I all used to live within 5 minutes of each other in the 7th arrondissement of Lyon. And honestly, we kind of thought it was the worst. It was only after we moved out of the 7th and into the busy 1st that we realized what we were missing. Don’t get me wrong; the 1st is great, but it’s also crowded and loud. And, as we quickly came to realize, most of our favorite places were in the 7th, especially when it came to food. Everyone knows you can’t keep university students away from good food. So for all you 7th Heaven dwellers and wannabes, I’m officially giving up all our secrets. You’ll never be hungry again, trust me. 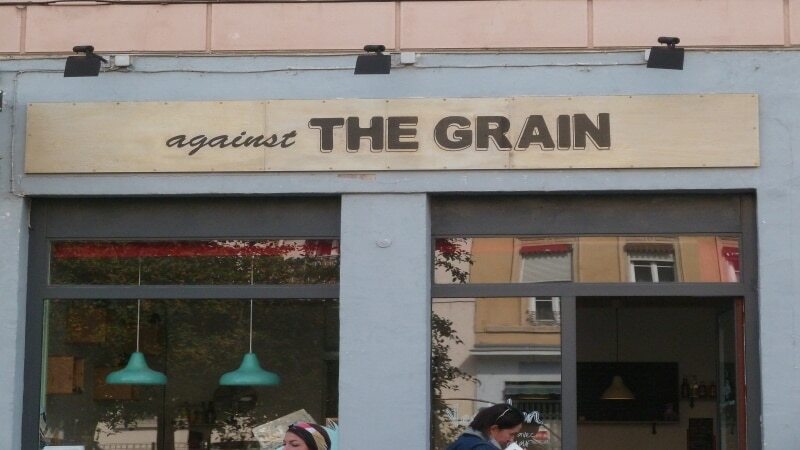 At 135 Rue Sébastien Gryphe, Against the Grain is the health haven you’ve been craving. A vegetarian, vegan, and organic restaurant, they have coffee shop treats and lunches that change with the day. And yes, as a mandatory characteristic of all health shops, they have smoothies. I’m convinced that this place is the best hole in the wall of this little plaza of shops, and I’m hoping their old-school diner atmosphere convinces you too. And just in case you need a little more convincing, you can check out their Instagram @atg_vegan. Don’t Insta while hungry, kids. It’s not a typo! 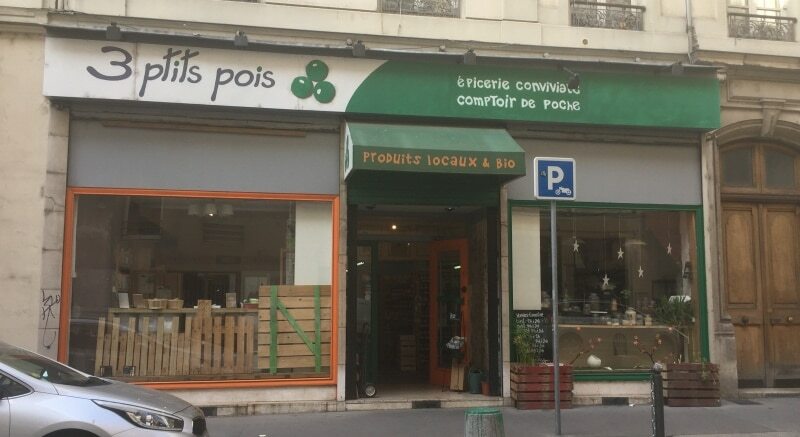 Right up the street from Against the Grain is 3 Ptits Pois, 124 Rue Sébastien Gryphe. Anyone who grew up around farm stands will love this locally run, organic épicerie. Trois Ptits Pois, organic epicerie in Lyon 7th district. They sell everything from veggies and fruits to organic chocolate and confiture. You can also buy in bulk, because who wants a box of cereal when you can have a bag of it instead? They also have a killer dairy section, and yes I did eat an entire container of stracciatella yogurt in one day. Judge me. Check them out here if you’re interested. 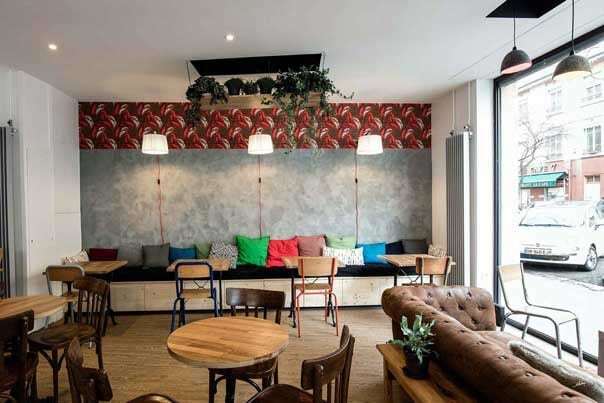 On the other side of Rue de l’Université, at 50 Rue Pasteur, is Taste & See, a Taiwanese restaurant with a penchant for boba tea. I’ll be honest: we’ve never actually tried the food here, but if their tea is any indication, it must be good. 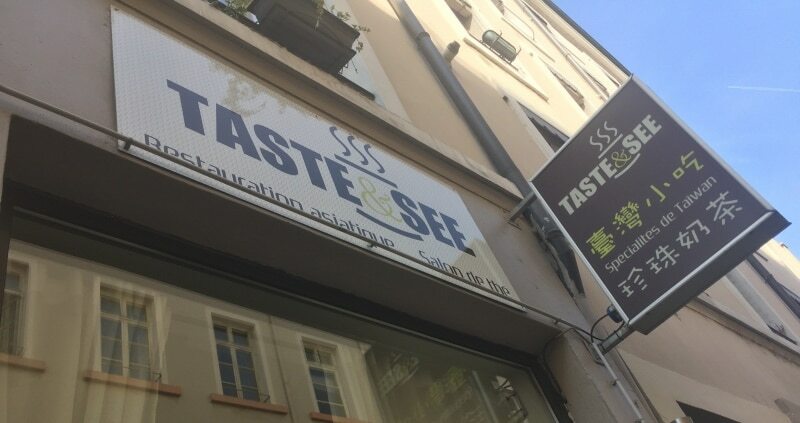 Taste & See, Taiwanese restaurant in Lyon 7th district. You can get fruit or milk-based, iced or not, with anything from strawberry and mango to taro and vanilla. Their hours are really weird, so you have to plan ahead. 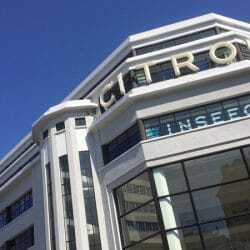 They’re open from 12 to 14h30 every day except Sunday, and then from 18h30 to 21h30 Monday, Thursday, and Friday. But hey, when the taro calls, you answer. I promise it’s worth it. You can track them down here. The credit for this one has to go to my roommate. 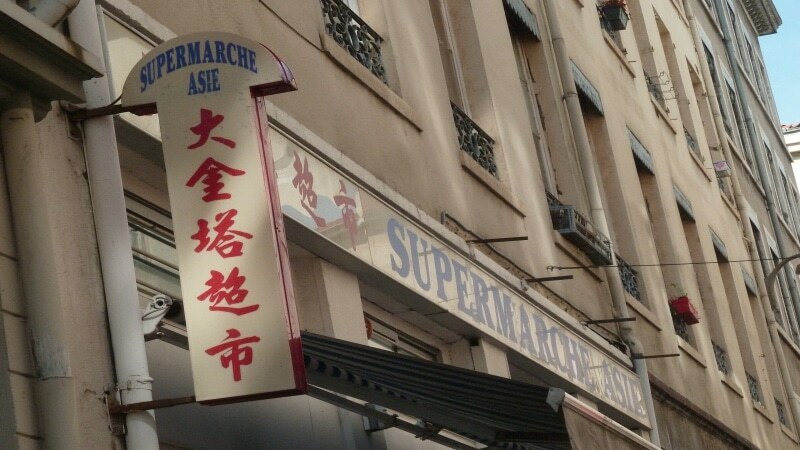 I know nothing about Asian food, but when she found out about this supermarket at 12 Rue Passet, we were all over it. Supermarché Asie doesn’t look like much from the outside. Despite the giant blue lettering above the awning, we nearly walked right past it. But step inside and it’s an ever-expanding stockpile of every Asian specialty you could want, including an 800ml bottle of Maggi Arome Saveur which has basically become our number one life source. You want ramen? They have it in spades. Dumplings? Take your pick. Candy, produce, condiments? Yes, yes, and yes. You know you want Asian food tonight. Go revel in their magnificence here. I don’t know what happened to Indian Prince 1, but hear me out. At 19 Rue Renan, Indian Prince 2 specializes in Indian and Pakistani plates that far exceed the expectations of the name. We went for the buffet, though you can order off a menu if a buffet isn’t really your style. It’s all you can eat, and you better go hungry. Curry, biryani, tandoori, you name it and they’ve got it. Top it off with some rice and naan. And if you’re still hungry, throw in a little salad just for fun. It was a little pricey for our meager student budgets, €11.50 at lunch, €16 le soir, and €18 on weekends, but you have to go crazy occasionally. Indulge yourself here. I wouldn’t say that their food and drink selection is anything to scream about, but it’s the atmosphere that makes this place worth a trip. With floor to ceiling windows and chairs of various comfiness for all your attention-span needs, this airy place got us through a lot of finals. And their, uh, eclectic music selection is always fun to listen to. Check them out here if you want a place that feels like your dream home. Pizza Pouce will forever be my favorite place for a thin crust pizza. Because yes, they are open on Sundays. It’s a miracle. Crusty pizza at Pizza Pouce, Lyon 7th. Their pizzas range from about €6 to €11, and the owner couldn’t be any nicer if he tried. Their pizzas are the perfect combination of crust, sauce, and toppings, and I’m making my mouth water just thinking about it. 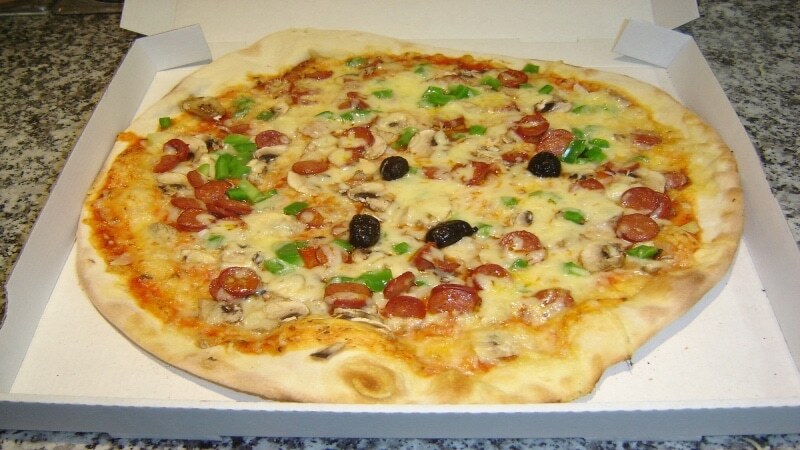 My favorite is the simple Italienne, but you can also pile it on with the Bressane or the Bohemienne, weighing in respectively at six and seven toppings. But instead of listening me drone on for ages, go have a look for yourself here, and at 14 Place Jean Macé. Now that I’m absolutely starving, I’m really wishing I still lived in the 7th. I would gladly take an eight-hour flight from the U.S. to France solely to eat food for a day. Frankly, I’d take an eight-hour flight just for the pizza. It’s really that good. 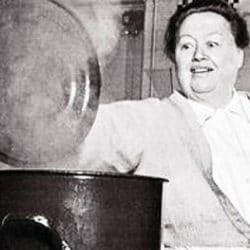 So for those of you who aren’t on the other side of the pond, go forth and eat great food on my behalf. And then start looking for apartments in the 7th so you never have to leave. Universities and trendy cafés make up this growing section of town.